Good news for Indian Students who want to pursue their post graduation studies in Japan. The Asian Development Bank (ADB) JSP(Japan Scholarship Programme) is going to offer good opportunity for Indian Students to pursue their Post Graduation in Japan. Date and Deadline:Conduct every year, contact the Asian Development Bank scholarship department. Applicants from graduated member countries, i.e., Hong Kong, China, the Republic of Korea, Singapore, and Taipei,China, as defined under the Classification and Graduation Policy, are no longer eligible for ADB-JSP. The ADB-JSP enrolls about 300 students yearly in taking part academic institutions placed in 10 countries within the region. Number of Applications: Accepting 300 applications every year from 10 different countriesScholarship Covers: Full Scholarships for one to two years, full tuition Fee, Monthly Expense, Housing Expense. Book Allowance, Medical and Travel expenses. Applications for scholarships must be sent at least six months prior to the organized time that you desire to start studies. 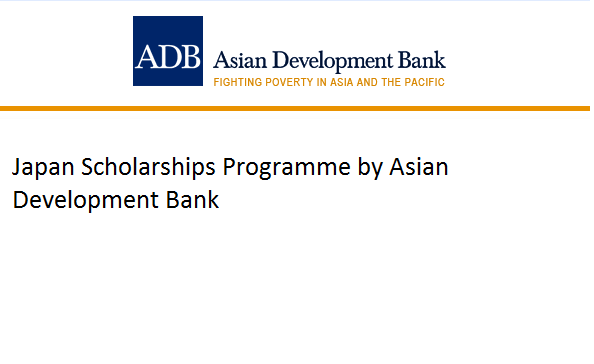 To apply for this scholarship program, visit this page http://www.adb.org/site/careers/contacts , and apply.